The relics of a small, monogenetic, continental-shelf, Surtseyan volcano are preserved on the North Otago coast, South Island, New Zealand, in the late Eocene-early Oligocene Waiareka-Deborah volcanics. The succession consists of two parts, i. e. a lower interval of bedded lapilli tuffs and lapillistones, representing the eruptive, aggradational-cone-building phase, and an upper epiclastic sequence, representing the post-eruptive degradational phase. All of the preserved succession appears to have been deposited below storm wave base. The lapilli tuffs and lappillistones are subaqueous fall deposits, modified contemporaneously by downslope grain flow and turbidity current redeposition, and perhaps by local reworking caused by turbulent thermal eddies. 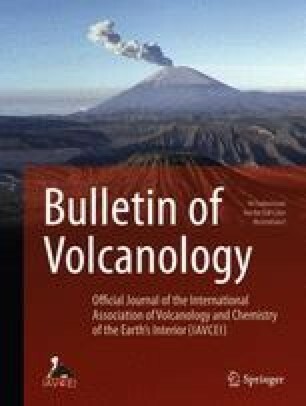 The absence of major discordances in the lapilli tuffs suggests that the active eruptive period was very short-lived, perhaps lasting only a few days. The epiclastic succession consists of redeposited volcanic, skeletal, lime mud and glauconitic detritus, transported by debris flows and other mass flows. The initial epiclastic unit, a debris flow, appears to represent the sector collapse of a significant part of the cone. The appearance of fossils and rounded clasts low in the epiclastic succession coincides with stabilisation of the top of the submarine volcanic edifice, development of a wave-planed top, and its colonisation by a diverse fauna. Periodic storm activity swept material off the platform, redepositing it as marginal talus ramps. Surtla, a wholly submarine satellite volcanic centre of the 1963–1967 eruptive activity of Surtsey, is an excellent modern analogue for both the eruptive and post-eruptive phases of the Bridge Point-Aorere Point volcanic centre. By analogy with Surtla, the 120 metres of lapilli tuffs and lapillistones exposed on Bridge Point and Aorere Point accumulated in only several days. The 25 metres of reworked, glauconitic and fossiliferous volcaniclastics, represent thousands of years based on the time required for glauconite to form.